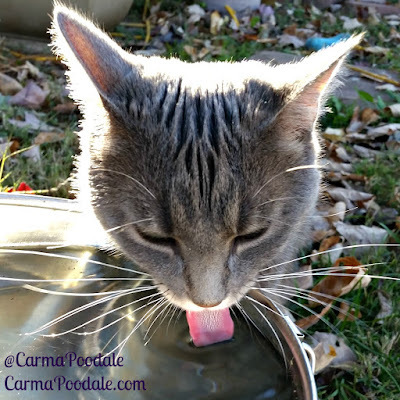 Carma Poodale : Kitty Backwash or Good To The Last Drop? 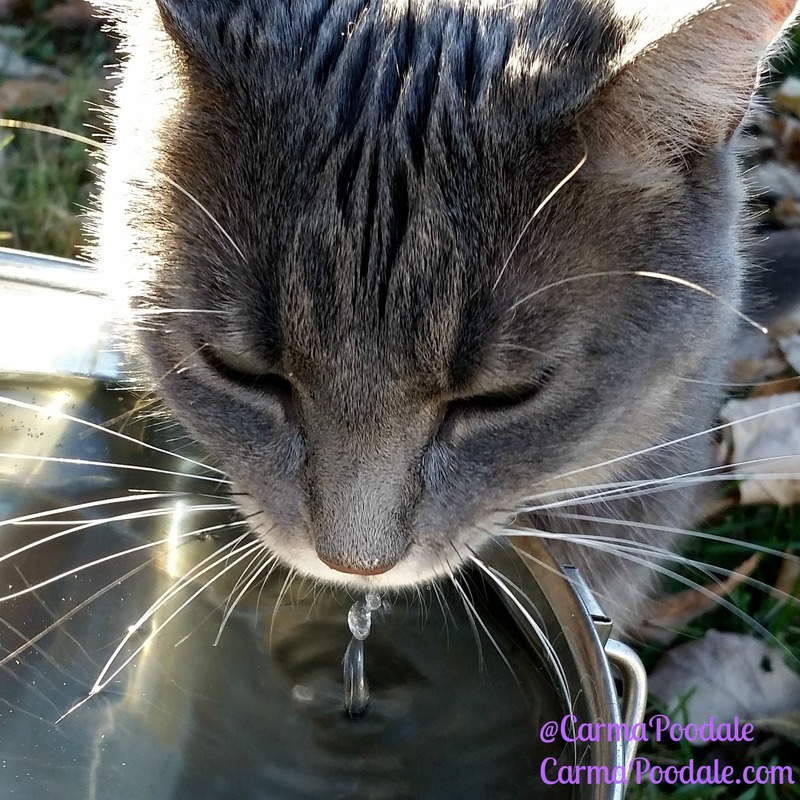 Kitty Backwash or Good To The Last Drop? Ma has been working on the houseplants that have been outside all summer to get them all transplanted to be ready to bring in for winter. She takes all of us out with her when she goes. She says things are better when we are around. I just think its an excuse to stop what she is doing to spend time with us. She gives each of us individual attention. I get to play Poodleball with her, she chases the guinea pigs around or takes them to the back of the yard. From there they have piggie races to see who can get back to the pond the fastest. Sometimes they run the wrong way and with two, it can really give ma a challenge. Those little stinkers are pretty fast for being fat piggies! She takes a ton of photos of us. She wants to remember all our fun times. Ma fills little buckets and bowls up of water so we will stay hydrated while we play. 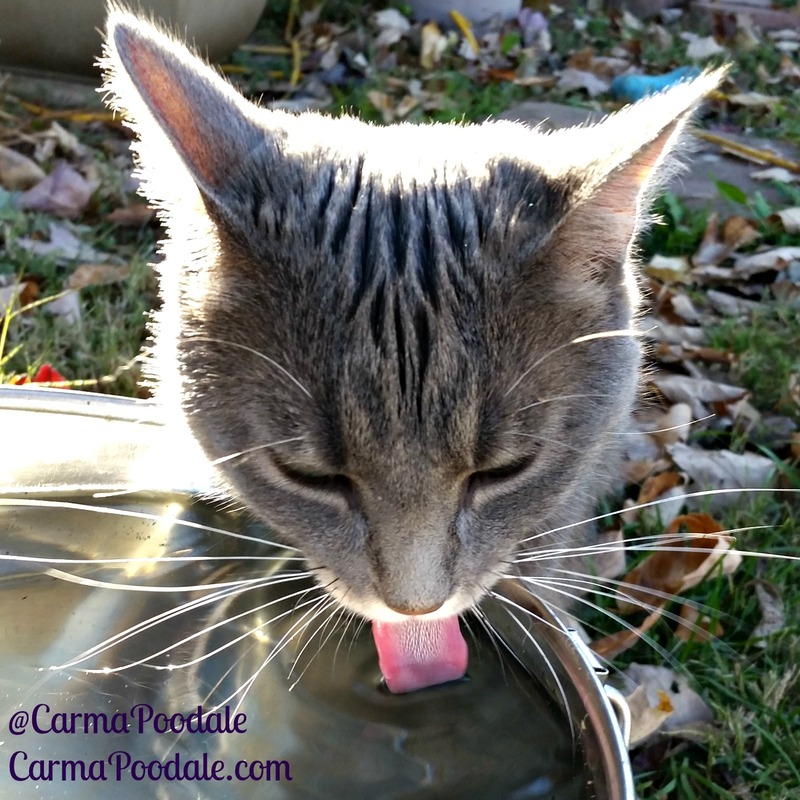 I love to drink out of a bucket and so does Molly Mew. She took a lot of photos of her drinking but the one she loved best is the one below. Ma said the water was good to the last drop. I say YUCK! Cat slobber, kitty backwash at its finest. Take time to enjoy your family. That's cats for you! BOL. Love it! I had no idea guinea pigs were fast.